Note: Older editions of the PGCBL Daily Rundown can be found in the News section under the appropriate day. Glens Falls at Oneonta, 6:00 p.m.
*Happy Fourth of July to each and every one of our readers. If you're heading to Oneonta tonight, remember the game starts at 6:00 p.m.
*Wow, what a long and exciting night in the league on Tuesday. During the afternoon and early evening, a rain system passed through Upstate New York however all four games on the schedule went as planned last night. *There were dramatics across the board. We start in Amsterdam where the Mohawks led the Hawkeyes 2-1 after six innings Shuttleworth Park in front of a jam-packed crowd of over 3,000 on Fireworks Night. Cooperstown, as has been their MO as of late, rifled off a big inning with a seven-score outburst in the seventh inning that was highlighted by a three-run double from Jacob Hubert (Laredo C.C.). At the seventh-inning stretch, Cooperstown led 8-2 and appeared it was on its' way to a lopsided victory. Cue the dramatics in the bottom of the ninth. Amsterdam scored two quick runs, one on a close fielders' choice call that could have turned into a double play, and that loaded the bases for Chase Williamson (Auburn) with one out. Williamson responded by belting a 2-1 pitch over the Chain Monster in left field for a game-tying grand slam that sent up a tremenoudous roar from the Rug City faithful. Unfortuantely for Amsterdam, the dramatics weren't done. Cooperstown's Coleman Barron (Davidson) came up with a clutch RBI single in the 10th to provide for the winning run in a 9-8 Cooperstown win. *Staying on the Mohawk River but heading to Little Falls, a similiar situation occured at Vet's Park where the home team, the Mohawk Valley DiamondDawgs rallied from a large deficit to eventually force extra innings. The DiamondDawgs fought back from deficits of 6-1 and 8-5 to tie the game in the seventh inning. Mohawk Valley's comeback from down 8-5 included a sixth-inning RBI single by David Del Grande (Sacramento State) and then RBI singles in the seventh from Eric Helmrich (Marist) and Joe Carcone (Bryant). The game remained deadlocked at eight though Albany placed pinch runner Mike Triller (Clemson) on third with one out in the ninth. MV reliever Aaron Casper (Canisius) induced back-to-back fly outs to end the threat. Much like in Amsterdam, the game in Little Falls went on to extra innings with an 8-8 stalemate. With two outs and a runner on second in the 10th, Morgan Phillips (Charleston) drilled a double to left field to score Adam Young (UC Davis) with the go-ahead run. Phillips stole third and a throwing error on the play sent him dashing home with Albany's 10th run. *The scoring wasn't as high in Watertown where the Wizards and Pioneers had to wait out the rain for 45 minutes before the first pitch at the Alex T. Duffy Fairgrounds. But, there was still late-inning drama. Elmira carried a 4-2 lead into the bottom of the eighth, just six outs away from a win. A base hit and a hit batsmen along with a sacrifice bunt place Wizards on second and third with one out. Donald Walter (Cal Poly Pomona) brought home one score with a ground out to the right side and then Jordan Enos (Holy Cross) sent the crowd into a frenzy with a double to left-center that tied the game at four. But, Elmira had late-inning heroics of their own in mind. Travis Rosenwinkel (Corning CC) singled and was replaced by pinch runner Stephen Clout (New Haven). Clout moved to second on a wild pitch and then went to third on a Kendall Konopka (Arizona Christian) hit. 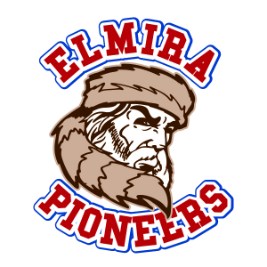 With two outs, a Watertown throwing error allowed both Clout and Konopka to score and those two runs propelled Elmira on to a victory. *Tuesday night was not a good night to be a home team. The visitors won all four games on Tuesday night in a clean sweep. This has happened before but it hasn't been a common occurance. The last time it happened was June 20 when Elmira, Mohawk Valley, Amsterdam and Cooperstown were all road winners. *Road records by team...Amsterdam 11-2, Watertown 7-3, Newark 9-6, Oneonta 7-5, Albany 6-6, Glens Falls 5-5, Elmira 6-7, Cooperstown 5-6 and Mohawk Valley 4-5. That's a combined road record for all teams of 60-45 (.571). So, this season, it pays to be the road team. *With a win at Shuttleworth Park on Tuesday night, Cooperstown improved its record against nationally-ranked Amsterdam to 2-2. Both of Cooperstown's wins over Amsterdam have been in extra innings. The Hawkeyes have the second-best record of any league team against the Mohawks and are one of only two teams to have beaten the league leaders; the other being Glens Falls. *Chase Williamson (Auburn) proved to be an unlikely hero for Amsterdam on Tuesday night despite the Mohawks' loss. Williamson, normally a relief pitcher, is among the league leaders with five saves. He has played in the infield and batted for Amsterdam this season but largely his offensive role has been a limited one. Williamson did not start on Tuesday for the Mohawks. Manager Keith Griffin inserted Williamson as a defensive replacement in the top of the ninth inning, with the score 8-2 Cooperstown, and he took over Jeff Boehm's (Kentucky) spot in the batting order. Williamson's grand slam is his first home run of the season. The Saraland, Ala., native did not bat in the spring at Auburn and had just five home runs during his senior season at UMS-Wright Prep in Alabama. *The grand slam by Chase Williamson (Auburn) of Amsterdam on Tuesday night is the first grand slam of the season in the PGCBL. The last time a grand slam was hit in a league game was Game 1 of the 2011 divisional playoffs. Cooperstown's Ben Miller hit an inside-the-park grand slam against the Newark Pilots at Doubleday Field. Cooperstown won the game but eventually lost the series. The very first PGCBL grand slam was hit by Albany's Steve Anderson (Georgetown) on June 21, 2011. It came against the Newark Pilots at Albany's Bob Bellizzi Field. *Amsterdam's loss on Tuesday night was its first since June 22. Cooperstown's nine runs are the second-most allowed by Amsterdam this season. However, the seven runs recorded by Cooperstown in the seventh inning marked a season high allowed by the league leaders. In three of four losses, Amsterdam has allowed at least eight runs. *Nearly one year ago to the day, Amsterdam and Cooperstown played a 10-inning game at Doubleday Field. Coincidence? Keep in mind, this is fairly similar - the road team wins the game in extra innings. On the Fourth of July 2011, Amsterdam's Luke Maile hit a two-run double in the top of the 10th and Amsterdam scored three times in the frame en route to a 7-4 victory in extra innings. The comparisons to Tuesday night's game don't end there. Cooperstown's Danny Nelson forced extra innings with a two out, two-run double in the bottom of the ninth that tied the game at four. Very much like Chase Williamson's (Auburn) grand slam in the bottom of the ninth to create an 8-8 stalemate. *Cooperstown now leads the league with four extra-inning games this season. The Otsegans have played three 10-inning contests and one 14-inning affair. Two of the four extra-inning games have been against Amsterdam and the other two were against Elmira and Oneonta respectively. The Hawkeyes are 2-2 in extra innings this season. Last year, Cooperstown was 3-2 in five extra-inning contests. *In their last three completed games, the Hawkeyes have had at least one big inning. Cooperstown scored six third-inning runs in back-to-back games at home against Albany (June 29) and Oneonta (July 1). Tuesday night, the Hawkeyes upped the ante by one with a seven-score seventh inning in Amsterdam to turn a 2-1 deficit into an 8-2 lead. Since being shut out by Elmira on June 25 at Dunn Field, the mashers in maroon have combined for 61 runs in their last eight games; that includes the nine versus Mohawk Valley from Monday that will not become official until the game is completed. *Much like has happened with other shootouts, we get caught up in all of the offensive numbers and lose track of some pretty solid pitching. Amsterdam's Connor Kaden (Wake Forest) tossed six frames of four-hit baseball and allowed one run while Cooperstown's Andrew Grann (New Paltz) yielded only one run in 5.2 innings. Hawkeyes reliever Josh Ingham (Central Conn. State), while he did struggle in the ninth, pitched well between the sixth and eighth. He relieved Grann with the bases loaded and two runs already home in the sixth. He ended the Amsterdam rally by inducing a ground out to the right side. *Amsterdam's line-up had a slight tweek on Tuesday night. PGCBL Co-Player of the Week Ed Charlton (NJIT) did not play. Fellow Co-Player of the Week and Evan Stephens (Wake Forest), normally the left fielder, batted lead-off for the Mohawks and patrolled center field. Jeff Boehm (Kentucky) and Josh Nethaway (UAlbany) started in the corner outfield positions for the Tribe. *Talk about a slump buster for the Oneonta. One day after being blown out, 11-1, by rival Cooperstown; Oneonta scored early and often in a rout of the Newark Pilots at Colburn Park. The Outlaws improved to 2-0 in Newark this season and more importantly ended a five-game losing streak. The Oneonta offense, which has struggled at points this year, reached double digits for the fourth time. When the Outlaws score four runs or more, they are 12-6. Though single digits may be more important, single digits allowed that is. Oneonta pitchers limited the opposition to two scores or less for the first time in two weeks - a 6-2 win over Cooperstown on June 19. Now, when the Outlaws allow three or fewer runs in a game, they are 8-0. *Albany needed just nine hits to score 10 runs in Tuesday night's win at Mohawk Valley. The reason, the Dutchmen set a PGCBL single-game record by walking 14 times against Mohawk Valley pitchers. Seven of nine Albany starters walked at least once. Ryan Gasporra (Centenary) tied a league single-game high with four bases on balls, Zach Remillard (Coastal-Carolina) drew three free passes and Sam Few (Samford) and Morgan Phillips (Charleston) each walked twice. *Yesterday's rundown mentioned two relievers that had yet to allow an earned run this season - Mohawk Valley's Aaron Casper (Canisius) and Albany's Trevor Lacosse (Bryant). They went head-to-head on Monday night at Vet's Park. Casper stranded a man on third and worked a scoreless ninth. He hit Albany's Adam Young (UC Davis) to start the 10th and was lifted for Lacosse's collegiate teammate, closer Sal Lisanti (Bryant) Young eventually scored on a two-out double by Morgan Phillips and the run was charged to Casper, his first earned run of the season. Lacosse came on in the 10th and after yielding a ground-rule double by Tom Valichka (Young Harris) to start the inning, he retired three straight to earn his fourth save. The double by Valichka was the first extra-base hit given up this summer by Lacosse. *Elmira's Carson Bryant (Chattanooga State C.C.) 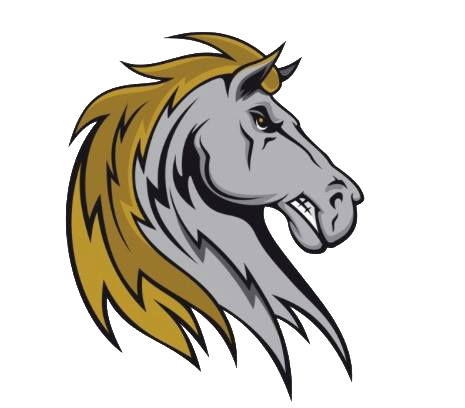 earned a measure of revenge against the Watertown Wizards on Tuesday night at the Alex T. Duffy Fairgrounds. In his last start, Bryant was roughed up by the Wizards at Dunn Field in a 12-2 defeat. He allowed eight runs, five were earned, on eight hits and did not make it out of the third inning. Wednesday night, following a 45-minute rain delay at the Fairgrounds, he shut down a Watertown offense that had accounted for a league season high 20 runs less than 24 hours before. Bryant pitched into the eighth inning and threw a three-hitter. He was charged with four earned runs, walked three and struck out five. Between the second and seventh innings, he seated 16 of the 18 batters he faced. *Pioneers catcher Spencer Brann (UC Davis) has been one of the main reasons for Elmira's strong play over the last two weeks. Brann has proved a formidable force behind the plate and he leads the league with 14 runners caught stealing. He gunned down two Watertown runners on Tuesday night. The backstop from UC Davis made his Elmira debut on June 15 at Amsterdam. Since Brann took over as Elmira's nearly every-day catcher, the Pios have grossed an 8-7 record. Offensively, he is second on the team with 15 RBI. *Watertown's Donald Walter (Cal Poly Pomona) might be a little black and blue at the end of the summer. Walter has been hit by a pitch 10 times and that leads the league. He is the first PGCBL player this season to make it to double digits in HBP. In his last two games, Walter has been plunked thrice. He was hit twice at Oneonta in his first two at-bats on Monday and then hit once last night versus Elmira. *Mohawk Valley's Taylor Wright (Brown) has increased his league lead in appearances to 13. Mohawk Valley has officially completed 22 games and a 23rd was suspended due to darkness on Monday at Cooperstown. Wright, a rising sophomore for Bruno, has pitched in 59 percent of Mohawk Valley's 22 games. His 13 appearances are two more than the nearest competitors; five other pitchers have 11 outings each. Wright, the son of Villanova men's basketball head coach Jay Wright, has a 1-0 record and one save in 21.1 innings. He has struck out 26, walked seven and accrued a 4.15 earned run average. *Since reaching 50 stolen bases for the season last week, Oneonta has stolen only three bags. Two of those steals came on Tuesday night at Colburn Park against Newark. *One of the better starting pitchers in the league you may not have heard about is Oneonta's David Sosebee (Georgia). The 2011 Boston Red Sox 48th-round pick is 3-0 with a 1.78 earned run average over five appearances for the Outlaws. 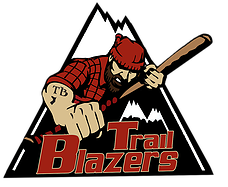 He has claimed an impressive list of victories including wins over Glens Falls, Watertown (road) and Newark (road). Tuesday, he slowed a hard-charging Newark offense to just one run over seven innings on six hits. Sosebee induced 14 ground outs and the fielders behind him were flawless in 42 combined chances. First baseman Zac Johnson (Illinois State) recorded 12 putouts and added two assists. Second baseman Orlando Rivera (State College of Florida) registered eight assists in 10 chances and also had two putouts. *Oneonta's Orlando Rivera (State College of Florida) had quite the breakout night on Tuesday versus Newark as he sparked the Outlaws' offense from the two-slot in the batting order behind Logan Brown (Baylor). Rivera smashed four hits, scored each time he was on base and drove in one run. He doubled and added one stolen base. This spring, Rivera, playing for State College of Florida, went 2-for-3 with one run scored in an exhibition game victory against a Baltimore Orioles Sptring Training squad. Currently, he's averaging nearly a hit and run scored per game with 14 hits and 13 runs scored in 15 contests played. *The first half of the season essentially ends tonight. Four teams have completed 24 games and three others will register their 24th completed games tonight. So where do we stand in terms of a playoff picture? If the postseason began today - Amsterdam, Glens Falls, Newark and Oneonta would all be in. However, just two games separate second-place Glens Falls from fifth-place Albany. The Dutchmen, on the outside looking at the top four, trail fourth-place Oneonta by just one game. At the other end of the league table, four teams have won nine games - Mohawk Valley, Cooperstown, Watertown and Elmira. Mohawk Valley does have a potential 10th victory at hand though a game where the Dawgs have an 18-9 lead over Cooperstown will not be completed for another two weeks. Just 2.5 games are between the Watertown/Elmira tie for eighth place and fifth-place Albany and that means the Pioneers and Wizards are only 3.5 back of a possible playoff spot. It's sure to be an exciting finish over the next month. *Just two games on a light schedule today. 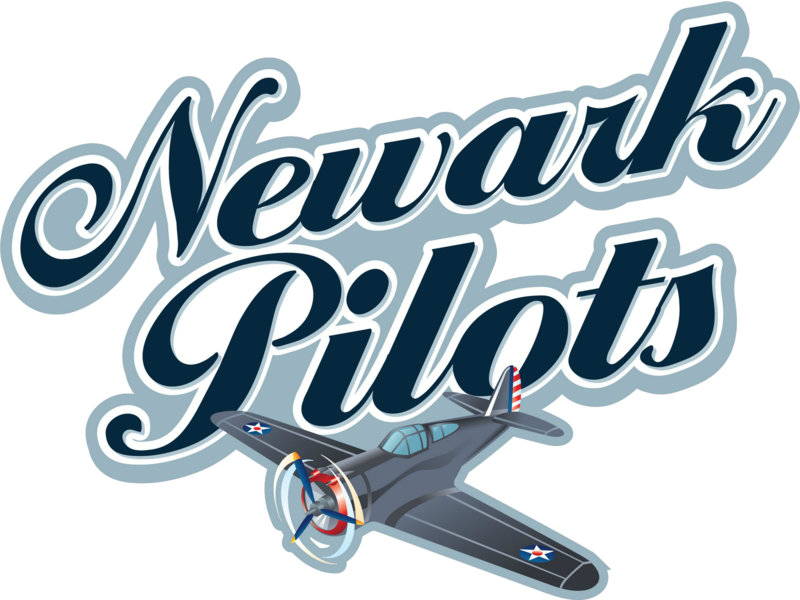 The Newark Pilots are also playing an exhibition game against the Utica Brewers of the New York Collegiate Baseball League at Colburn Park. Both league games today will be played in Otsego County about 20 miles from one another; in theory, one could take in both games if they desired. *The marquee match-up of today's Fourth of July double dip will be at Damaschke Field inside Oneonta's Neahwa Park. A huge crowd is expected at Damaschke Field for fireworks both in the sky and in a game between the second-place Glens Falls Golden Eagles and fourth-place Oneonta Outlaws. 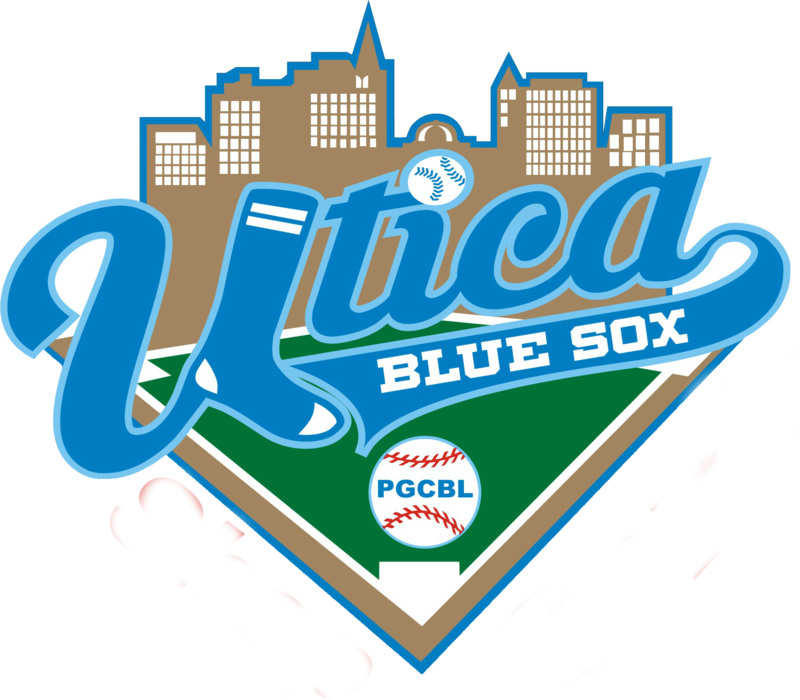 The teams have been playing one another for nine years dating back to 2004 when the Outlaws were known as the Saratoga Phillies. The current rivalry is a bit more spread geographically out but the Outlaws and Golden Eagles will play six times overall this year. 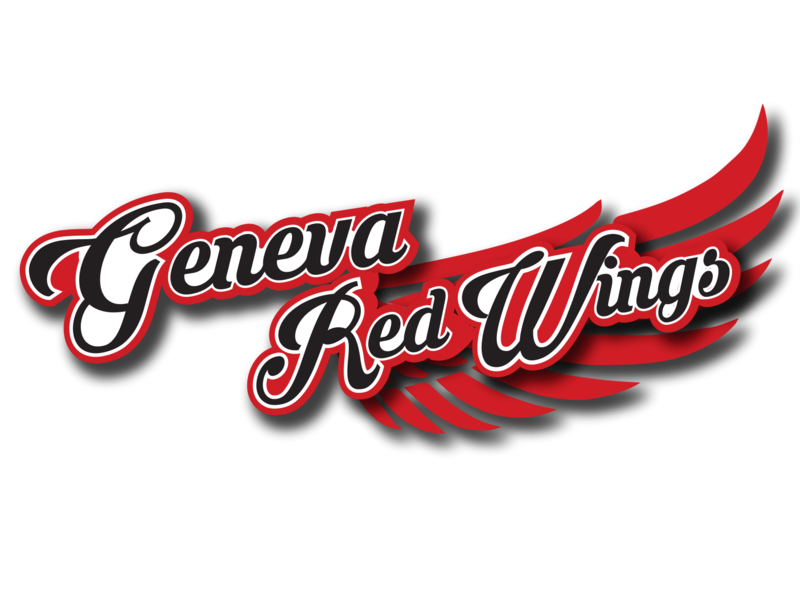 The home team so far has won all three games in the series - Glens Falls with a pair of victories at East Field and Oneonta with one at Damaschke. It's been a little over two weeks since the last meeting between the teams which Oneonta took 8-4 at home. All three match-ups have been literal slugests and one of the games, on June 15, was played in front of the largest crowd in the history of the Glens Falls Golden Eagles. The Green and Gold heads to Oneonta coming off a two-day break and the team has won five of its last six to take sole possession of second place. Home hasn't been where the heart is for Oneonta. The Outlaws have dropped four in a row at home and boast a 5-6 record inside Neahwa Park this season. But, the Outlaws are 7-3 following a win this year and the Outlaws have already posted three winning streaks; a fourth could possibly begin on Wednesday. If anything, this should be a tremendous pitching match-up as Brandon Magallones (Northwestern) and Sheldon Lee (U. San Francisco) square off - the two are a combined 5-0 with a sub 3.00 ERA. Three prior games have been high-scoring, this has the chance to be a low-scoring thriller. *The other Fourth of July game comes in Cooperstown where the Hawkeyes host the Watertown Wizards. The Hawkeyes have made a habit of playing at home on the Fourth. Last year, Amsterdam upset the holiday plans of the Hawkeyes with a 7-4 win in 10 innings. There might not be another offense in the league as hot as Cooperstown is right now. The Hawkeyes have scored at least four runs in eight-straight games and have reached at least six in five straight. Much like last year's division champion, it has been a different hero every night for Cooperstown. Early-season signee Jacob Hubert (Laredo C.C.) leads the team with a .315 batting average and 23 hits; he had a key three-run double at Amsterdam on Tuesday night. Tyler Mautner (Buffalo) has a team high 14 RBI and first baseman Chris Blanton (CSU Monterey Bay) has been on fire since the start of last week with a .423 batting average and six RBI. In terms of the big picture, this is a big game for both teams wanting to gain separation from the bottom of the pack in the league table. The two teams have played just once this season and Cooperstown thumped Watertown 9-3 at the Fairgrounds. The Wiz Kids return to Doubleday next Tuesday and then Cooperstown makes two trips to the North County over the final two full weeks of the regular season. Watertown has been at its best on the road this season with a 7-3 mark away from home.